Our book club for this book was an enchanting tea party with quaint little bite-sized foods, whimsy decor, and amazingly costumed characters. 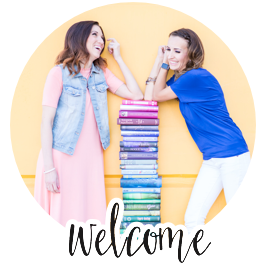 I still can't get over how book club member, Brooke, looked like she stepped right out from the pages of our book! Thank you for all that played the part. Overall, we loved the book. The only complaint that was given was that there were some slow parts and it did take some time to get used to the language and writing style. 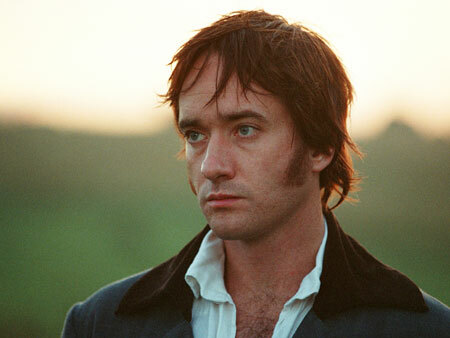 Though we all have our opinions on Mr. Darcy (and which version of him we like from the movies), most of us admitted to being in love with him by the end of the book. One member put it well when she said the novel was "witty and clever and celebrated strong women who know the value of true love; yet it's totally unpredictable and it matches your heart ache, and hope, and cheer!" We all liked the part in the book where Darcy tries to awkwardly say how he feels about Elizabeth during his first proposal and both of their reactions to this scene in the book. 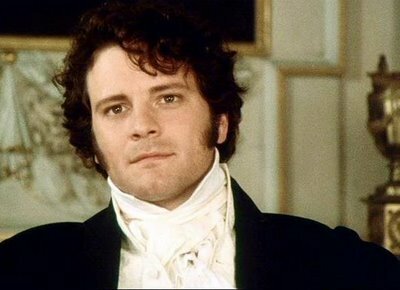 (I especially loved how Elizabeth pointed out to Darcy that it might have made it harder to refuse him if he had behaved "in a more gentleman-like manner"). "A lady's imagination is very rapid; it jumps from admiration to love, from love to matrimony, in a moment." "She hardly knew how to suppose that she could be an object of admiration to so great a man." "Sometimes the last person on earth you want to be with is the one person you can't be without." "But that was only when I first knew her, for it is many months since I have considered her as one of the handsomest women of my acquaintance." “I cannot fix on the hour, or the spot, or the look or the words, which laid the foundation. It is too long ago. I was in the middle before I knew that I had begun." 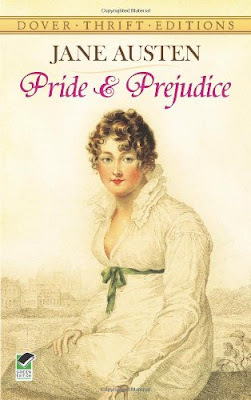 "Pride and Prejudice is simply one of the most delightful and funniest novels ever written. With memorable characters brought vividly to life as they both succeed and fail at the game of life according to the manners of their era, this book is a classic among classics and for good reason. As long as men and women continue to fall in love it will never be out of style, it will always be meaningful, and always be funny." "How despicably have I acted! she cried. I, who have prided myself on my descernment!...Till this moment, I never knew myself."